The Tema Oil Refinery (TOR) and the Ghana Gas Company together owe the Ghana National Petroleum Corporation (GNPC) over $92 million. TOR’s indebtedness is standing at $58million while Ghana Gas owes the state oil firm $33million. Acting Chief Executive Officer of the GNPC, Alex Mould made this revelation when he appeared before the Public Accounts Committee on Tuesday May 24 to answer questions raised by the Auditor General regarding the Corporation’s financials. Mr Mould, however, said payment terms have been reached with the two firms. Mr Mould told the committee: “First of all, we have done two things; we have ensured that we have an agreement in place with each of the entities that are indebted to us, which, specifically, states when they will be paying the money to us. With regards to Tema Oil Refinery, we are yet to agree with them on the payment date. 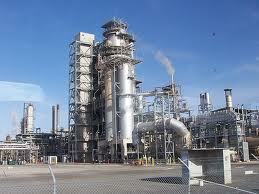 Tema Oil Refinery has just started working and we are going to agree with them on the payment schedule. With regards to Ghana Gas, that was the sale of a pipe line to Ghana Gas and there is an agreement with interest accruing to GNPC on the payment and they are putting together a payment schedule for that”.